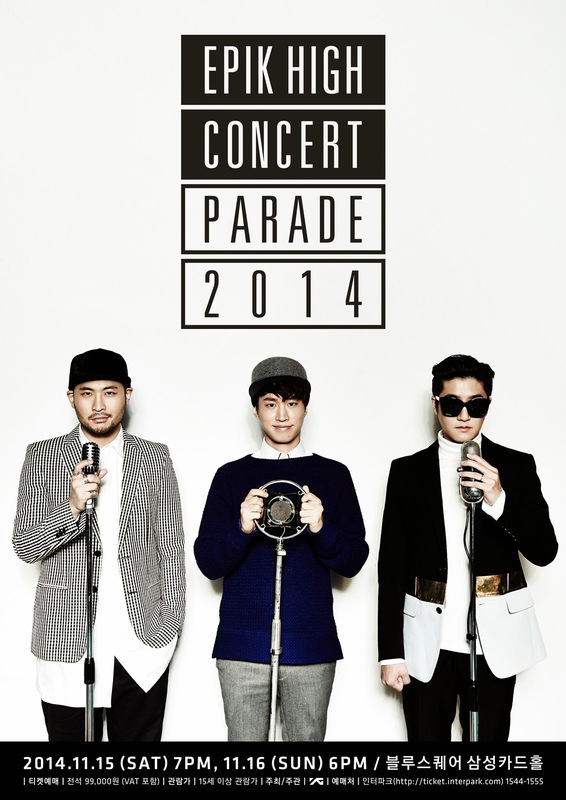 Epik High will hold its exclusive concert. According to YG entertainment, the hip hop group will hold its exclusive concert 'PARADE 2014' at Blue Square Samgsang Card Hall in Seoul from November 15-16. It has been about 5 years since the group held its world tour in 2009. Before holding the concert, Epik High will release its 8th full album 'Shoe box' on October 21. Tickets for Epik High's upcoming concert can be reserved at ticket.interpark.com on October 14.